Do you have a great idea for a TV series? Is your life a TV series? Studios and Networks are always looking for the next “Game of Thrones,” “This is Us,” or “Modern Family.” And with all the online content providers creating original programming nowadays there are so many ways to get your story made.Screenwriter and filmmaker, Katie Torpey will offer a six-week Write Your TV Show workshop to be held Thursdays from 7:30-9:30 p.m. at The Ridgefield Playhouse beginning March 7. The class focuses on how to create, develop, and write an original show for TV, cable, or the internet. You will spend six weeks learning how to flesh out your TV show idea, create a series bible as well as write the pilot (1st) episode of the series. During the course, you will focus on how to develop a solid plot, structure the series so it has longevity, capture the theme of the show, and create complex characters that audiences will love and be compelled to follow. 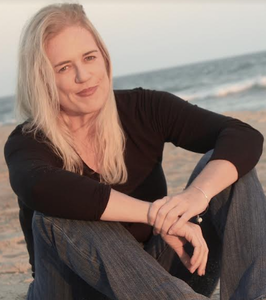 Katie Torpey is an award-winning Screenwriter / Filmmaker with an MFA from UCLA School of Film and Television. She has sold several screenplays, written for television, and worked for numerous studios and networks. Her original screenplay, The Perfect Man was released in theaters in June 2005 starring Hilary Duff, Heather Locklear and Chris Noth. The following year, her romantic comedy, On the Other Side, opened in theaters in Bollywood and was a big hit. She wrote and directed the independent film Truth About Kerry shot in Ireland starring Stana Katic (Castle), which was released in April 2012. She also co-created “Mother Up!” an animated TV series about motherhood starring Eva Longoria. It was one of Hulu’s first original TV shows and premiered in 2013-14 and ran for 13 episodes on Hulu and City TV in Canada. She is currently adapting her memoir Just Breathe into a screenplay and her latest scriptSpaghetti Park is in pre-production. In January 2017, Katie launched her own production company Your Story Productions, a Film, Television, and Digital Media Company that focuses on helping writers to discover and write the stories they are meant to tell, ultimately creating content that impacts humanity and makes a difference. Currently, she has two movies and one TV show in development. The Ridgefield Playhouse is located at 80 East Ridge, parallel to Main Street, Ridgefield, Conn. To register ($350), call or visit the box office, 203-438-5795 or go online at ridgefieldplayhouse.org.